Nicholas studied painting and stone carving at the Norwich School of Art and taught at Cambridge School of Art. He has worked mainly in East Anglia and his beloved Shetlands for some 50 years where he is an excellent landscape artist and printmaker. 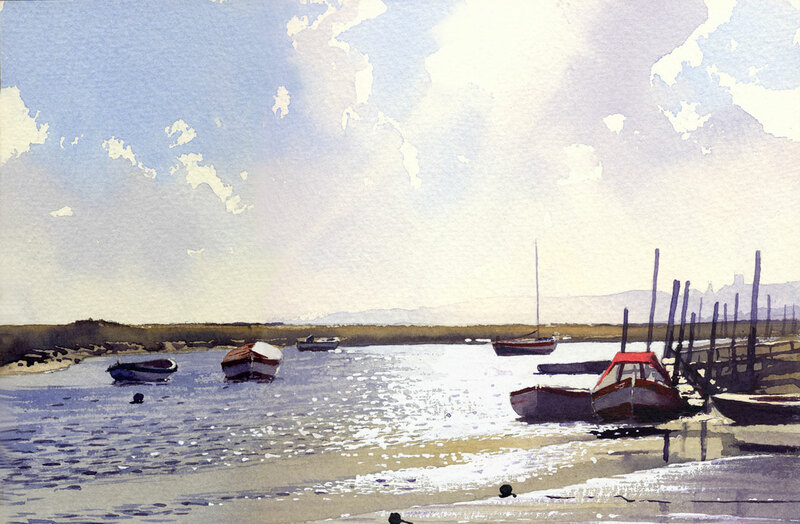 He finds the immediacy of watercolour lends itself to his en plein air landscapes and favoured fishing boats. Brian turned professional in 1993 to pursue a life in painting following a long career in Architecture. He has run numerous courses in Britain and abroad and now resides in Wells-next-the-Sea, Norfolk. He has a distinctive, mainly landscapes, style combining an impressionist and semi abstract technique, trying to capture his passion for an atmospheric feel to his work. He regularly submits to the prestigious Royal Institute of Oil Painters for their annual exhibition at The Mall Galleries in London and has been a full member since 2011. 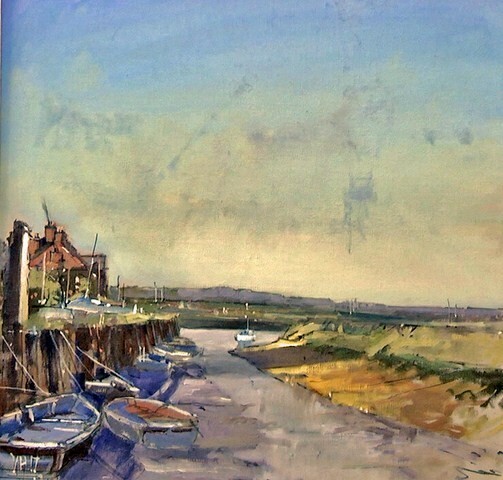 In 2012, in partnership with three other painters and Picturecraft Gallery in Holt, Brian formed the Institute of East Anglian Artists (IEA), not only to resurrect the fine traditions of art in the area but to promote the Arts in general in East Anglia giving Artists a “goal to aim at.” He is currently its President. Brian believes that if you only paint during the warmer summer months you are missing some great subjects and fabulous lighting conditions. 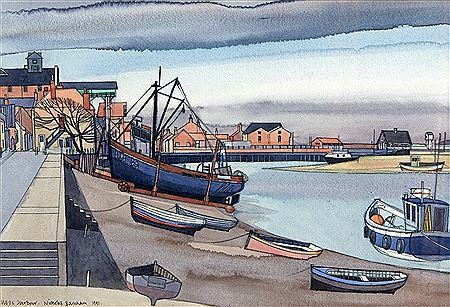 Godfrey grew up in Blakeney and spent his early working life as a fisherman absorbing the “austere beauty and character of the Norfolk Coast”. Some of the finest painters of this coast come from backgrounds in fishing. He has exhibited in London and across Norfolk, and been bought around the world and at home including by the Prince of Wales. Trevor was born in Maidstone, Kent, in 1974 and moved with his family to Norfolk in 1977. He has always had a keen interest in painting and design, and went freelance as an artist in 2004. 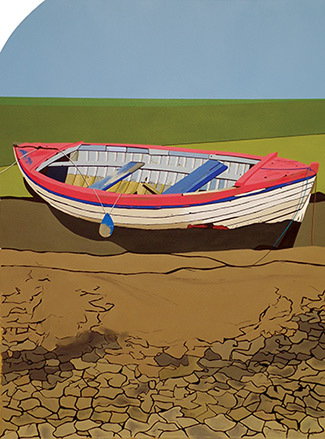 His bold graphic style in acrylic and ink draws observers into his clean lines, and simplifications of familiar scenes, especially North Norfolk. It has been said of him that “it’s more about what he leaves out than what he includes.” He owns and has an ongoing exhibition at Gallery Plus, Wells-next-the-sea, Norfolk.